Hi friends! Do you know what the e-way bill is? After the GST was implemented in the entire country, the change in the nature of the transport permit has been changed from one state to another for supply of goods. Now it is called the new form E-way bill i.e. the electronic format permit. Some of you may have heard somewhere about this, but you will not have complete information about e-bill. As E-way Bill Does, E-way Bill Kaise Banaye? Validity of E-way Bill in English and E-way Bill Rules What are they? So today I am going to talk to you about this topic that E-way Bill Kya Hai, E-way Bill Kaise Banate Hain i.e. E-way Bill Kaise Generate Kare? If you also have E-way Bill ? If you want to know about it, then read this Article E-way Bill in english till the end. Friends, first of all we know that what is this e- way bill? So you would know that the transport permit was needed to carry any product in and out of the state. But now after the GST has been introduced, the government has provided the electronic format for transport permit. This is known as E-way Bill. 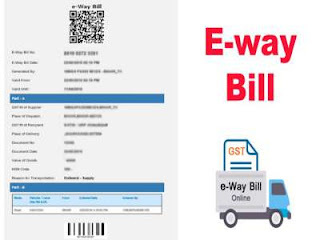 Transport of goods from one state to another, or from one location to another, within another state; So the first government has to be told by online registration and it has become mandatory for E-way Bill Generate. E-way Bill Rules in english? Now you may have come to know that what is e-way bill? Now we talk about some of its rules and regulations. The details of the supplier, transport and the recipient are given in the e-bill. If the goods are being transported, if the price is more than 50 thousand then it is mandatory to generate an E-way bill for its transport. The day has also been set according to distance in E-way Bill. One day limit has been set to cover 100 km. After this, every 100 km distance will be extended, one-day time limit will be increased. That is, two days for the distance of 101 to 200 km, three days from 201 to 300 km, etc. What is the Intra & Inter-State E-way Bill? You may get to hear the name of the inter-state E-way bill and the Inter-State E-way Bill when you make the e-bill. In easy language, the inter-state E-way bill will be created to transport goods within the state itself. At the same time, outside the state i.e., in other states, to send or order goods, the Inter State E-way-bill has to be made. So it depends on your transport, which e-bills you have to make. One important thing I can tell you is that if a car carrying a car gets crashed during delivery of goods from one state to another, then a new E-way bill will be generated after transferring it to a second car. What is the Generate E-way Bill? Now you must have a question in mind that E-way Bill Kaise Banaye, E-way Bill Kaise Generate Kare? So if you want to explain it well, then you have to first know that How to generate E-way Bill ? When the seller uploads E-way Bill to a GSTN portal, then a unique E-way Bill Number (EBN) will be generated. This EBN Number will be for Supplier, Transport and all of the baggage holders. They can use this number when giving the details in the GSTR-1 form. Within 72 hours of E-way Bill Generate, the recipient of the goods must enter his consent or disagreement to accept the goods. If he does not do so, then 72 hours later it will be assumed that the goods have been accepted. One more important thing I would like to tell you is that it can be canceled within 24 hours of E-way Bill Generate. I have already told you about E-way Bill Rules . Now we talk about transporter's accountability. If for some reason the buyer or seller e-bills do not make the bill and the cost of the goods is more than 50 thousand then the transporter has the responsibility to generate e-way bill based on the challan, bill copy or invoice. Before transferring the goods from one place to another, the transporter needs to update the information about the traffic in E-way-bill. If the transporter wants to take a lot of items from the same car, then he will have to enter the e-bill of each item. E-way Bill Online Registration Kaise Kare? Till now do you have E-way Bill? A lot of information has been found about this. Now you have a question that How to generate E-way Bill Online ? So like I have already told that it is associated with GST; For this reason there is a separate registration process for the person registered in GST and for the non-registered person. Now let me tell you in detail about both the procedures one by one. GST Registered E-way Bill Kaise Banaye? A completely different web portal has been created for E-way Bill. The person registered with GST is also mandatory to register themselves on the E-way Bill Official Website (https://ewaybill.nic.in). By putting your GSTN and verifying it through the received OTP. After this, you can create user ID and password. When you find the E-way Bill User ID & Password, then E-way Bill can make your e-bill very easily. Non-GST Registered & Transporter E-way Bill Kaise Banaye? Now let's talk about how non-registered people and transporter can register e-bill. E-way can be registered by giving your PAN card details on the bill portal. The OTP will go to the registered mobile number in the base, which will have to be verified. The user must provide information related to his business. You can create your User ID & Password on the E-way Bill portal. E-way Bill Online Generate Kaise Hoga? 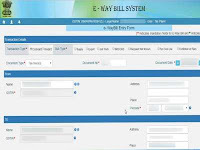 Now you have got E-way Bill User ID & Password for E-way Bill Generate. Now the online forms available for e-bill making are divided into two parts. The first part is known as Part-A. It has to give complete information about the supplier and the recipient, the value of the transported cargo, the transport from where and the documents that will be provided with the transport. The other part is called Part-B. It has to be informed of the vehicle fixed for the transport of goods. E-way Bill Generate Kaun Karega? After the GST is implemented, it is mandatory to have E-way Bill Generate before the commencement of the goods in this period. There are different provisions in this regard, in which case Kaun E-way Bill Generate Karega? If the goods are being supplied for sale and the cost of goods is more than 50 thousand, then supplier, transporter or recipient can generate any E-way bill. If there is more than 50 thousand of goods at the time of transportation of salmon for any other reason, then any e-bill from supplier, transporter or recipient can make the bill. If the value of the goods is more than 50 thousand at the time of transportation at the registered recipient of the non-registered supplier, the registered recipient can make E-way Bill Generate. In case of a non-registered recipient from a non-registered supplier, a non-registered supplier or transporter has to generate e-bill on any item of value. In the event of inter-state transfer of handicraft goods, the handicraft supplier will have to E-way Bill Generate on the price of any item. Conclusion: What's the e-way bill? So Friends! That's all the information about e-bill. I hope you have enjoyed this article E-way Bill in Hindi. And now you must have understood that e-way is why, e-way Bill Kaise Banaye? 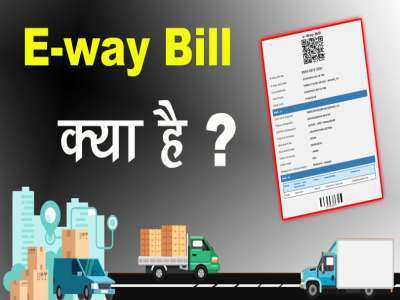 What is E-way Bill in Hindi? Is E-way Bill Generate Kaise Hota? If you have any questions related to this, please comment below. If you want to read similar and educational articles in Hindi, you can give your Email ID in our Email Newsletter. You will get the information of all the upcoming articles from this email.